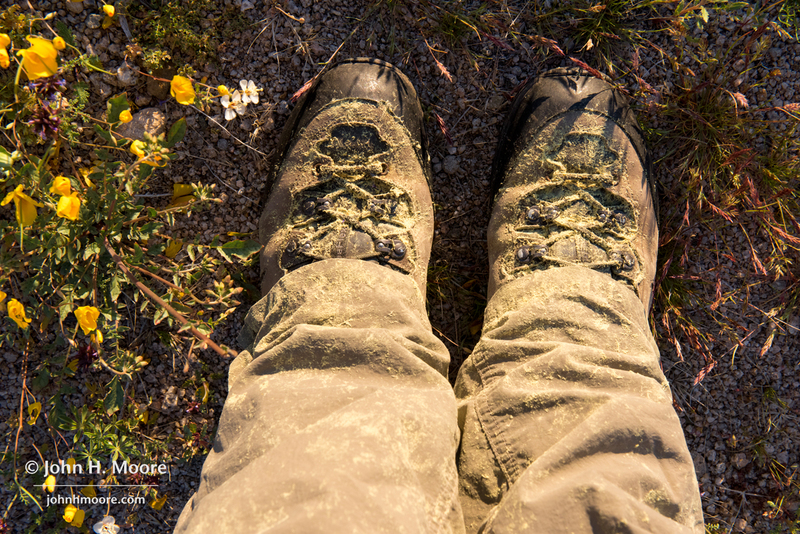 The photographer’s pollen-covered hiking boots [click to view larger]. 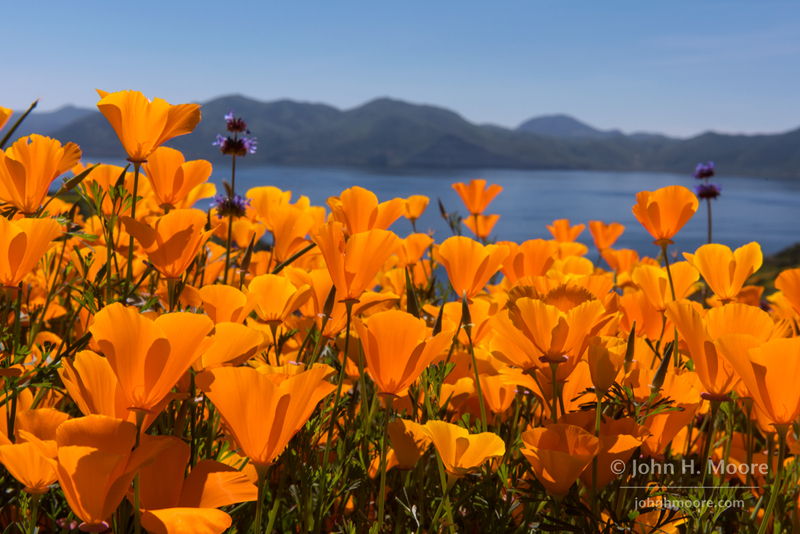 With as much rain as California has had in the past couple months, many of us have been carefully watching wildflower reports from other photographers in the hopes that 2017 might bring a spectacular wildflower season. 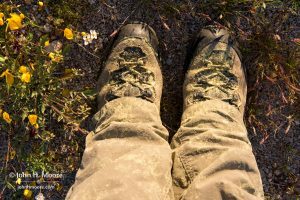 And in the past week or so, things have seemed to accelerate–with more and more reports coming in and some of them pretty good! Unfortunately, the news media has also caught wind of this and has been reporting a “super bloom,” so now wildflower spots that would normally see an admittedly fair amount of traffic are being completely overrun. There were reports of 2-4 hour traffic jams of San Diegans trying to get down the hill into Borrego Springs this past weekend! 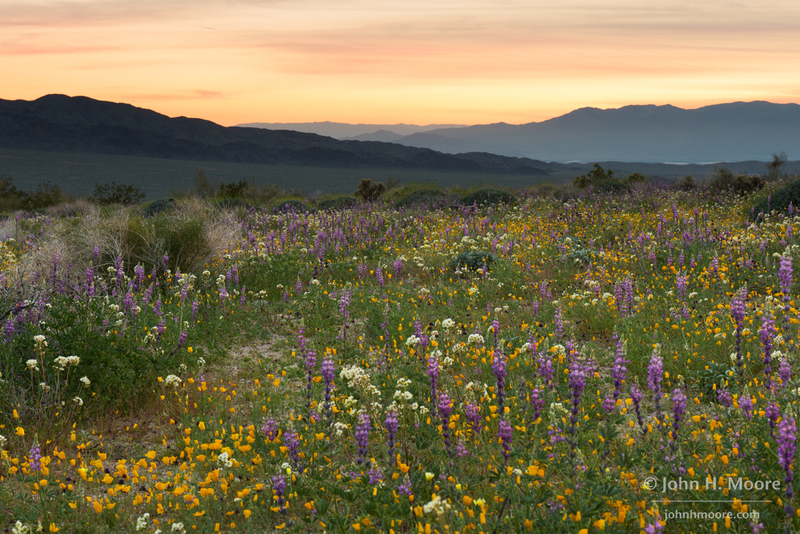 To avoid that rush, I was up at 3:00 AM on Friday and quickly out the door for a weekend of wandering Southern California in search of wildflowers. 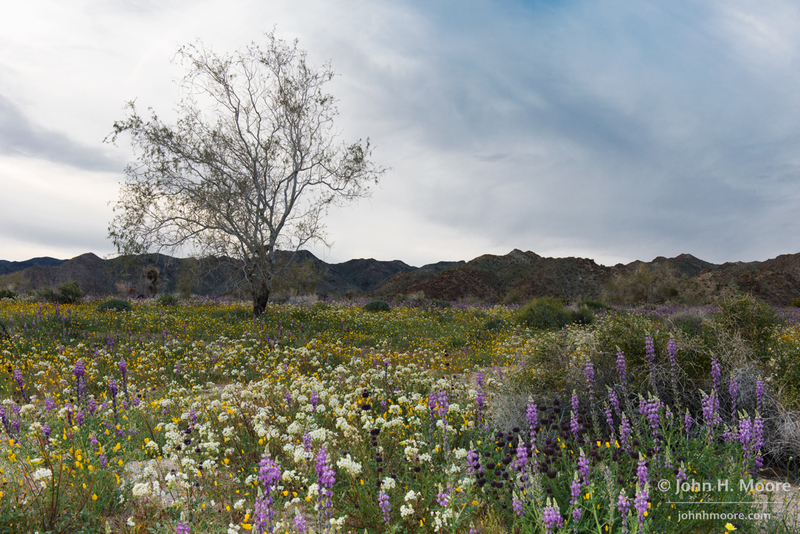 First stop, Anza-Borrego Desert State Park. 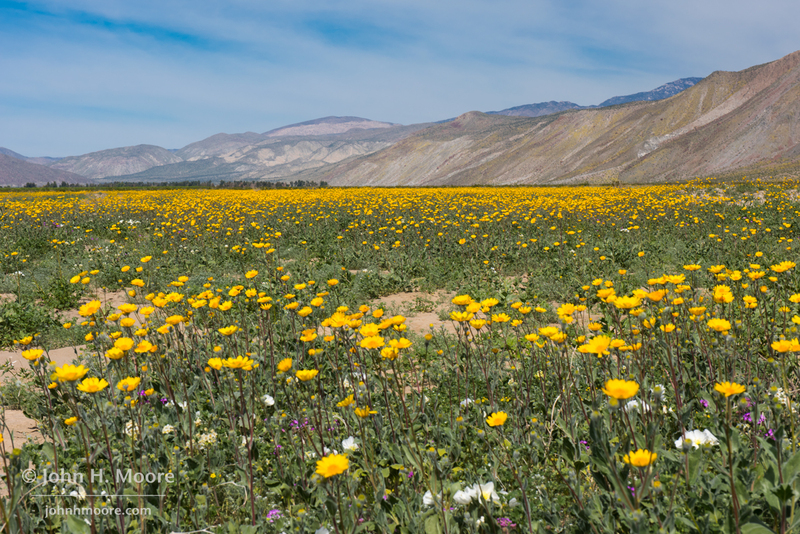 It did not disappoint… but I’m not sure that I would call it a “super bloom.” The coverage was good but not insane. 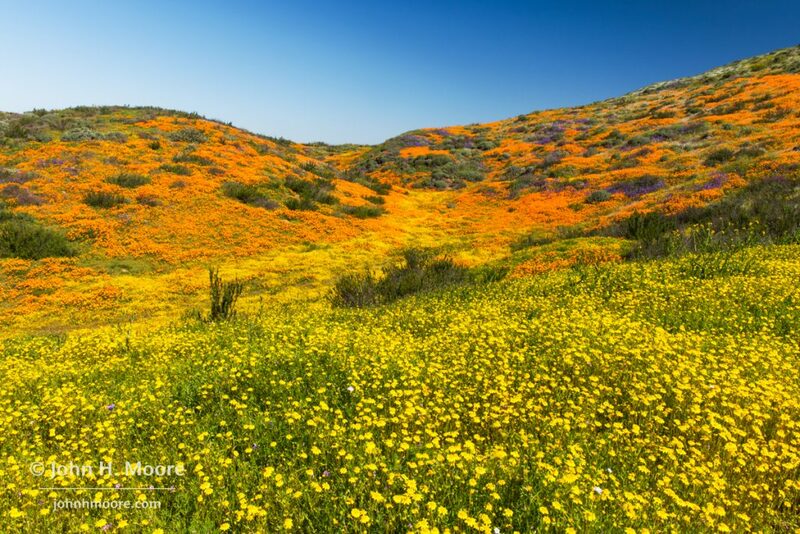 Over the weekend I visited several locations within the Colorado Desert region of Southern California as well as some of the hillsides within the more urban part of Southern California that are now covered in California poppies. It was a quick but incredibly (photographically) productive trip. Below are some of the highlights. 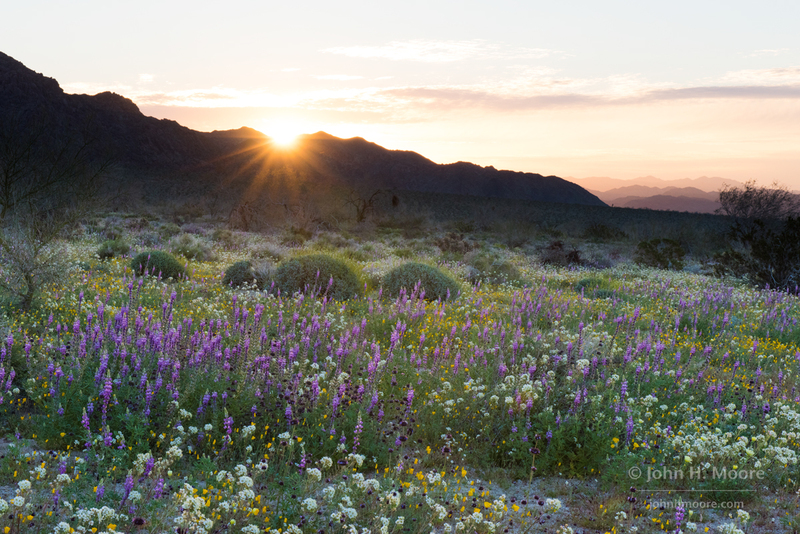 Sunrise over the Cottonwood Mountains during wildflower season. 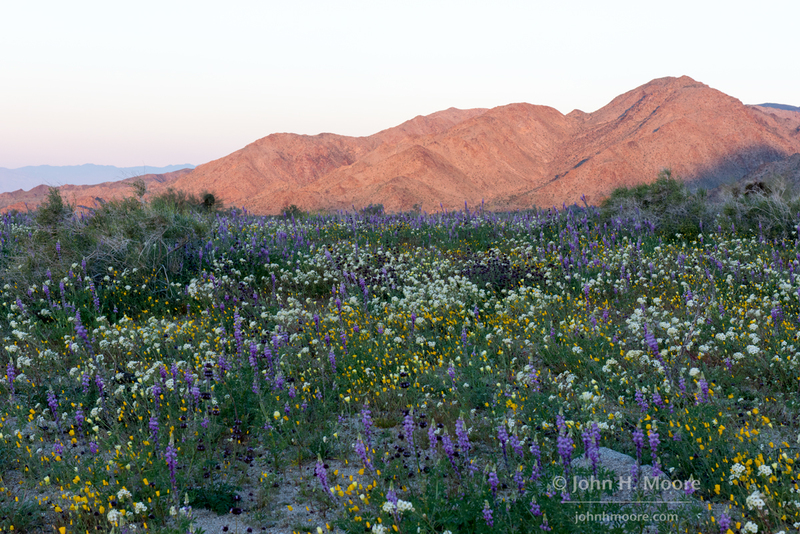 Wildflowers at sunrise near the southern entrance to Joshua Tree National Park. 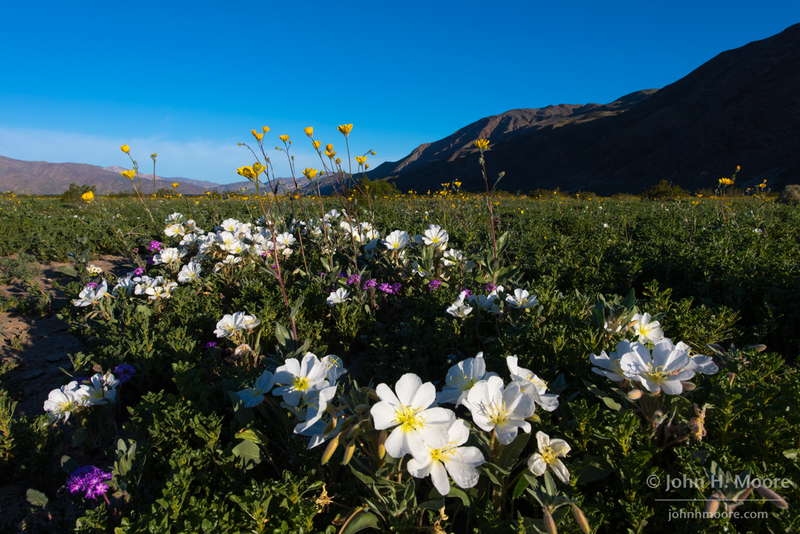 Wildflowers bloom on the southern slope of the Cottonwood Mountains. 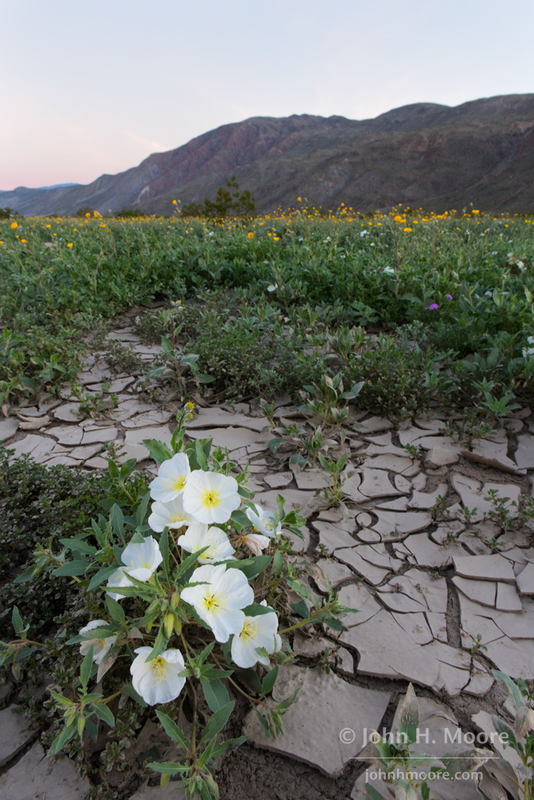 Dune evening primrose grows out of cracked earth in Anza-Borrego Desert State Park at sunrise. 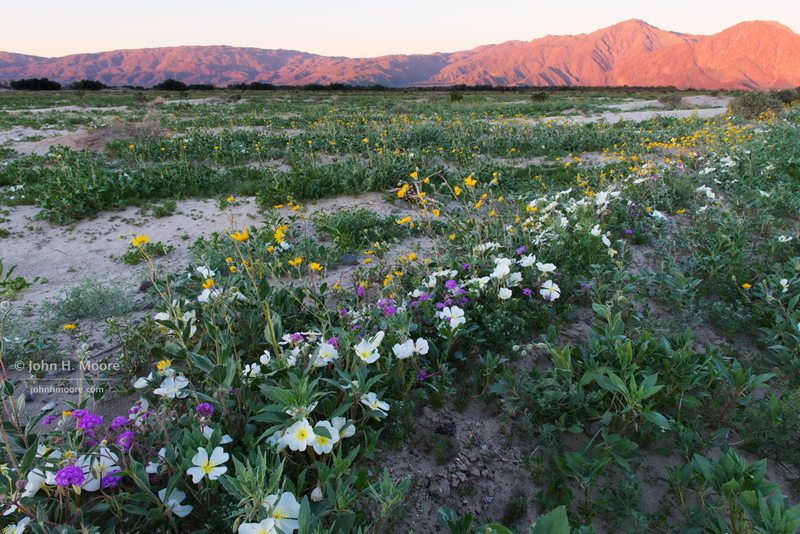 A dense row of wildflowers lines Henderson Canyon Road at sunrise in Anza-Borrego Desert State Park. 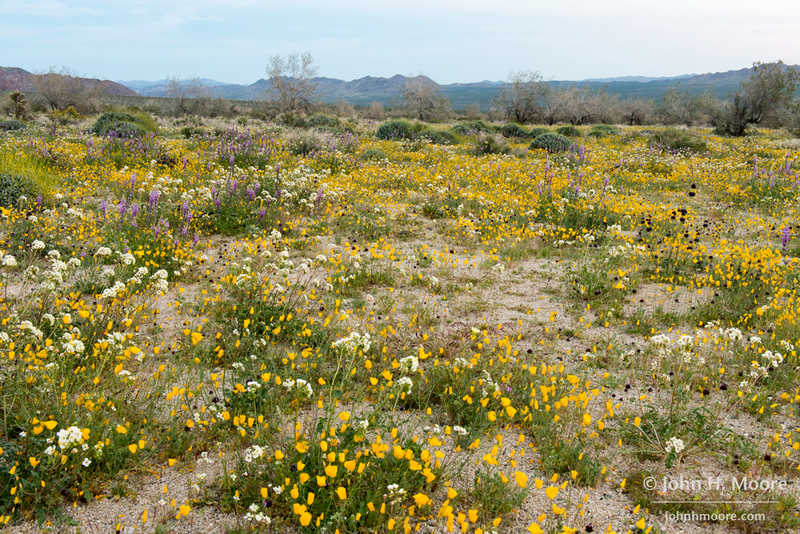 A field of desert sunflowers along Henderson Canyon Road in Anza-Borrego Desert State Park. 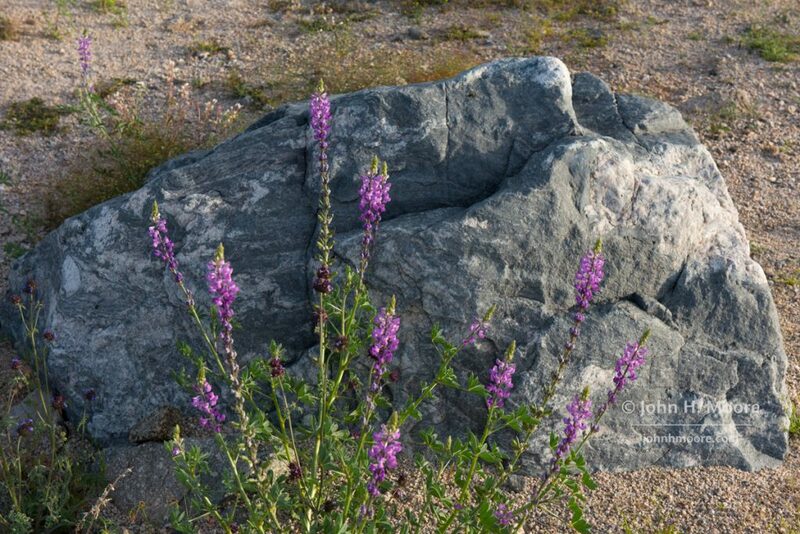 Lupine in front of a boulder. 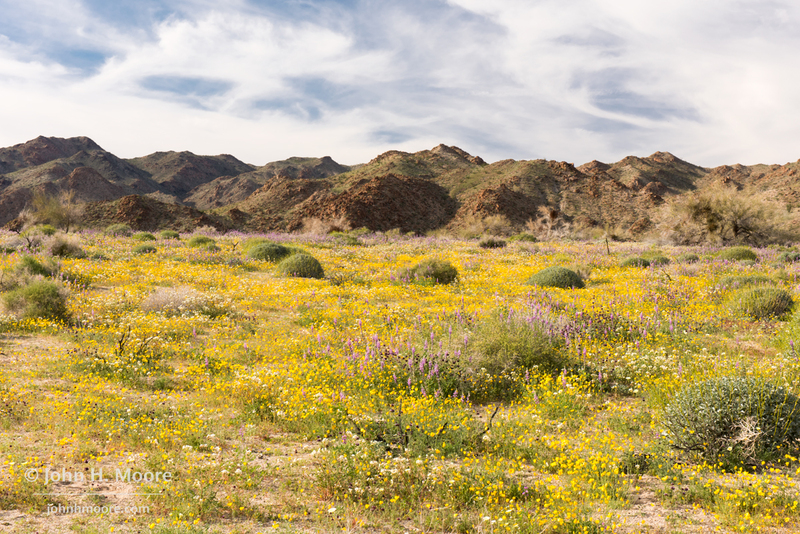 A field of desert dandelions along DiGorgio Road in Borrego Springs, California. 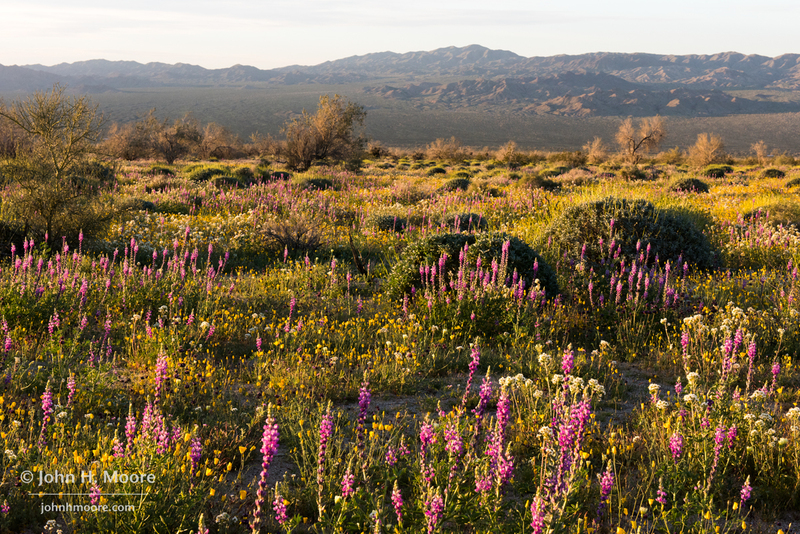 A field of lupine and other wildflowers, with a lone tree, at Joshua Tree National Park. 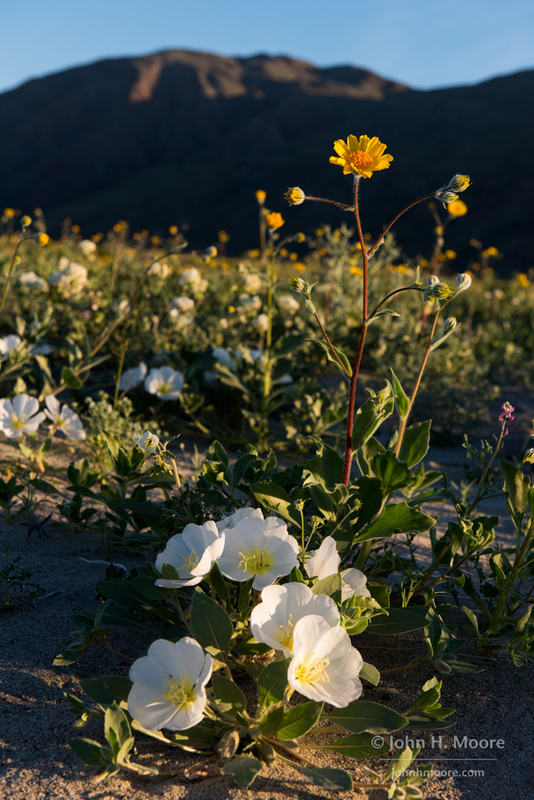 Wildflowers at sunset in the Colorado Desert. 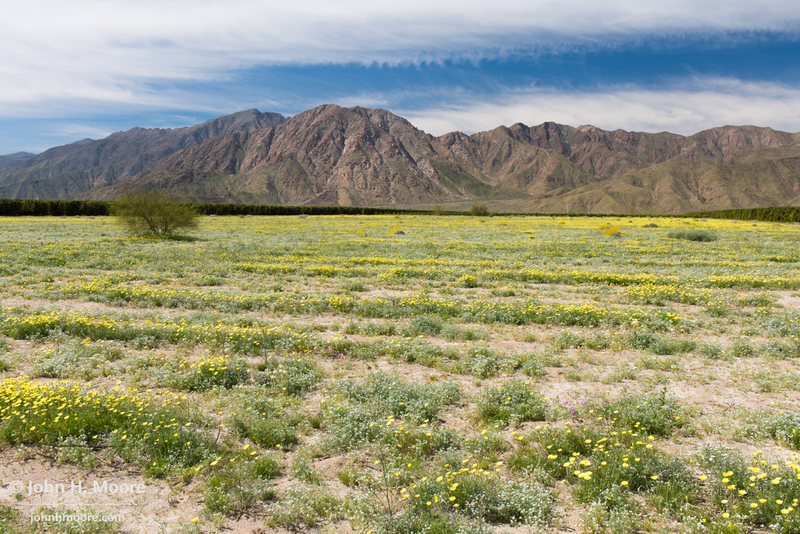 A field of yellow wildflowers. Wildflowers at sunset in the Cottonwood Mountains, overlooking the Salton Sea. 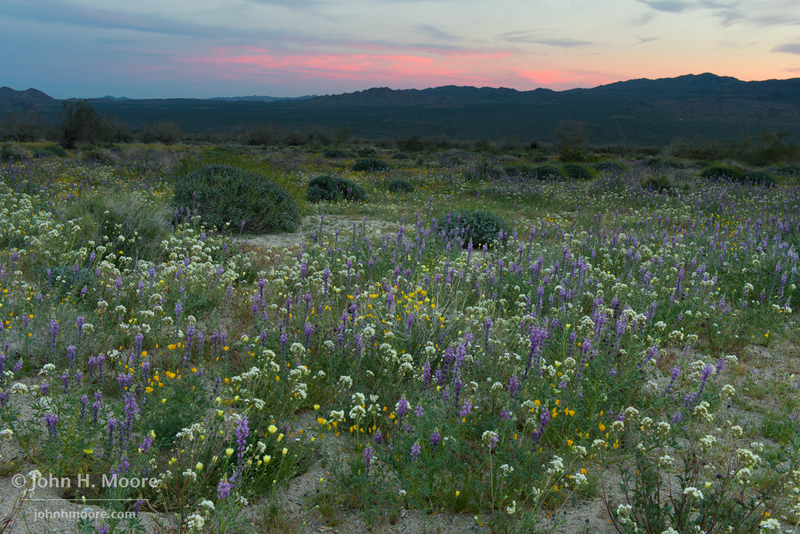 Sunrise light across a field of lupine and other wildflowers. 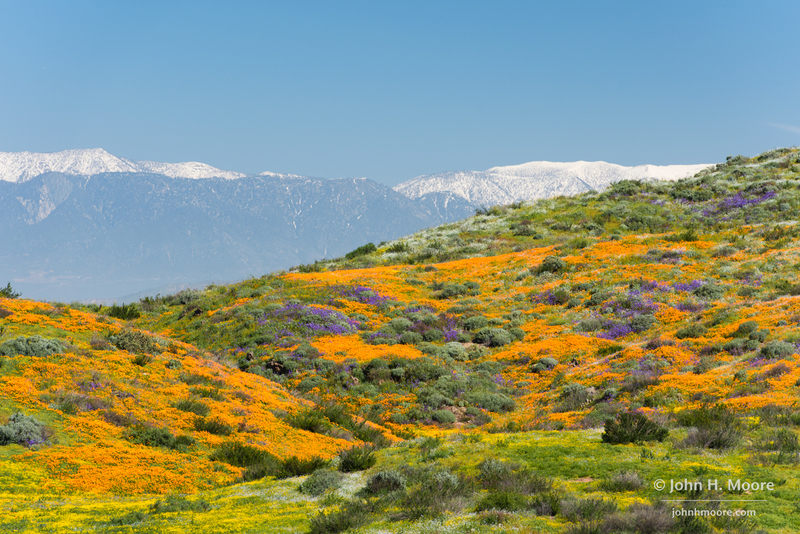 Snow-capped mountains loom behind fields of California poppies, Arroyo lupine, and California goldfields. 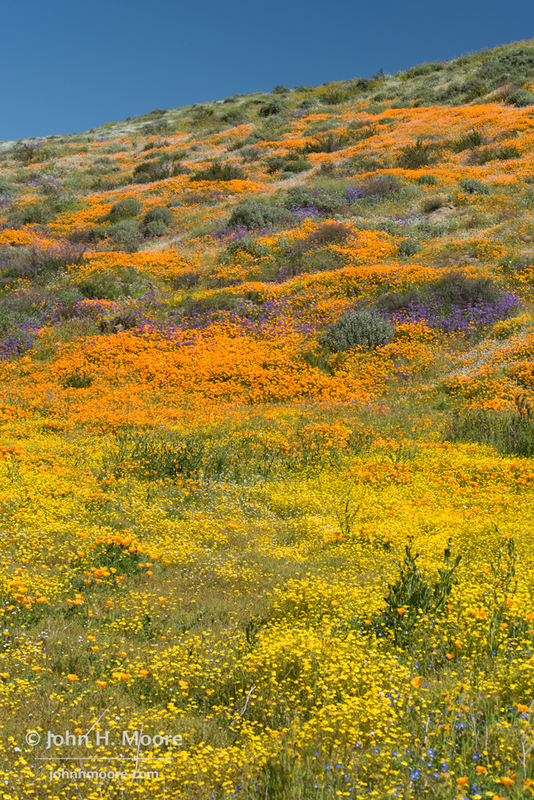 A sea of colors on a Southern California hillside. 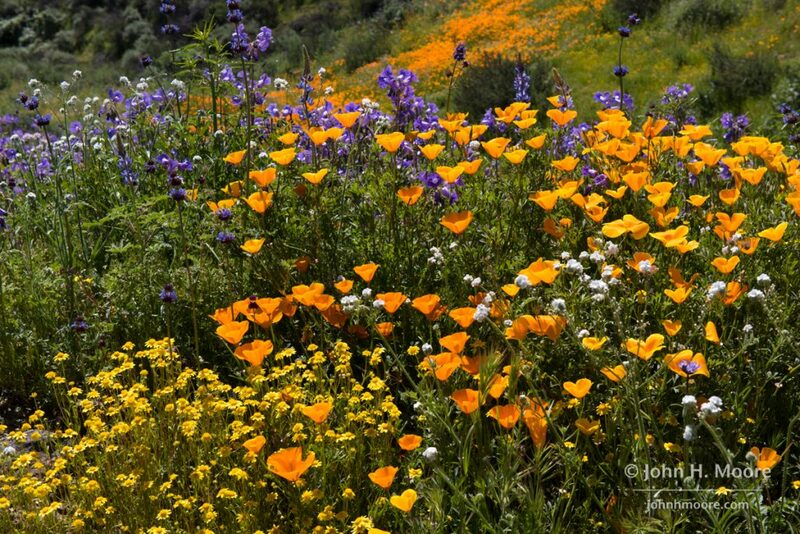 Mixed California poppies, Arroyo lupine, California goldfields, chia, baby blue eyes, and an unknown white flower. 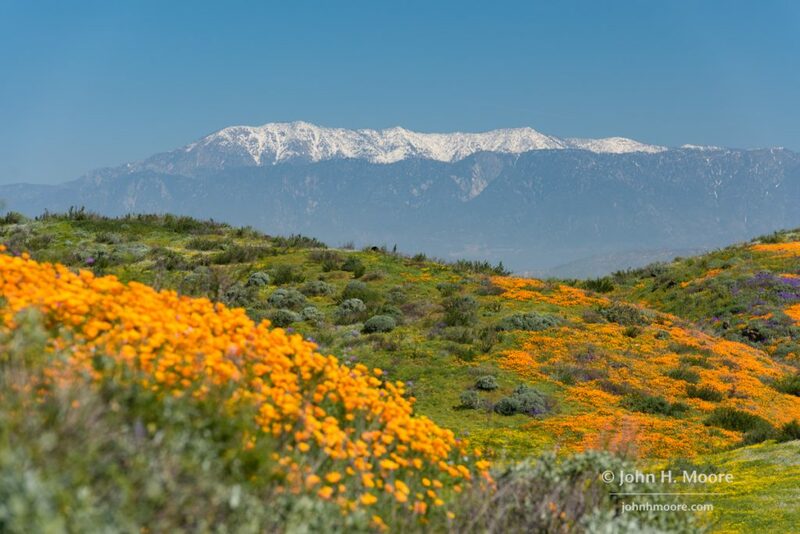 Snow-capped mountains loom behind fields of California poppies and Arroyo lupine. 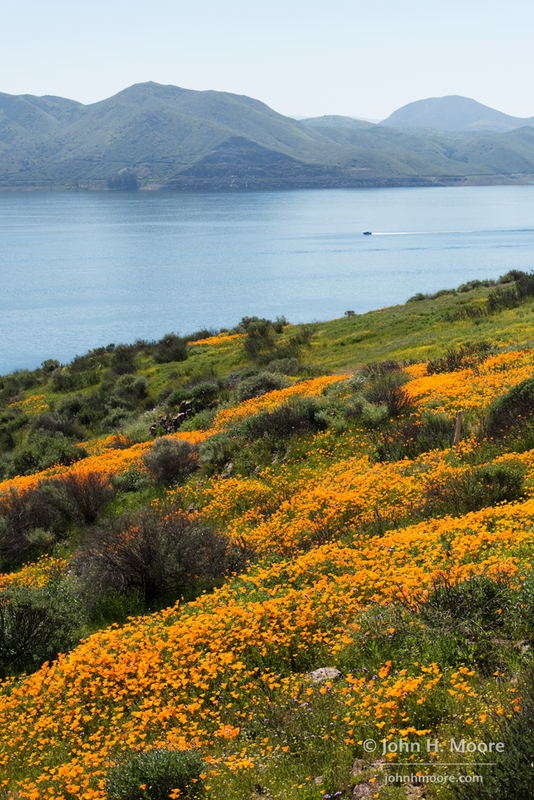 A boat cruises past hillsides covered in California poppies. 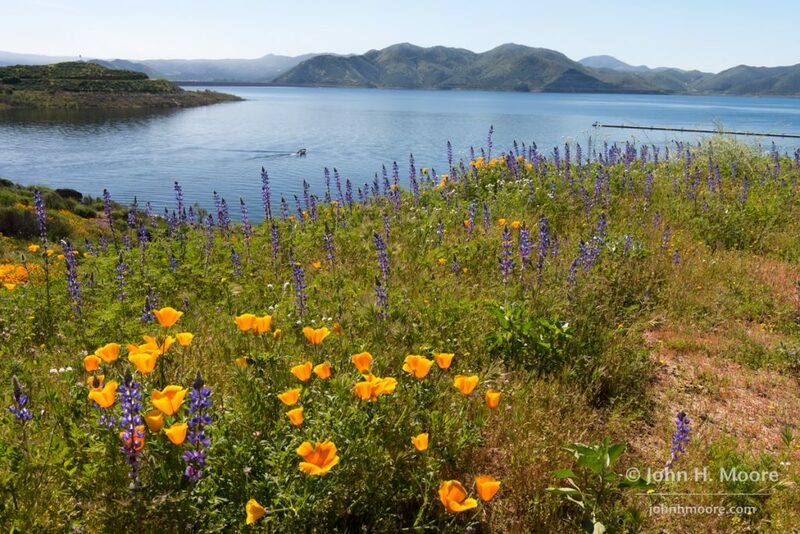 A boat departs a marina in Southern California, past fields of California poppies and Arroyo lupine. This entry was posted on March 13, 2017. It was filed under Uncategorized. Thank you for sharing! Gorgeous. Beautiful pictures, thank you for posting these for those of us who are unable to get over to the desert at this time. The white flower looks like it may be a type of phacelia.??? Gorgeous! Just the antidote for the frozen, white view out my office window…So glad you did this trip. Thank you for sharing. I especially love the sunrise and sunset shots. And the poppies. And the vertical shots. Okay, all of them! Just beautiful. Wish I could print one or two of those to paint. Just beautiful. Wish I could print one or two of those to paint. Not sure how.